Ever since Frankenstein, science fiction has warned us of the dangers science and technology pose to our very humanity, and the BBC America series Orphan Black does a better job of this than most. As if it weren’t creepy enough to clone humans and clandestinely spy on their lives, the ethically questionable Dyad Institute also custom-designed the genome Sarah shares with her sisters and genetically branded each clone like modern-day cattle with synthetic DNA sequences. This is the sort of stuff that would have given Mary Shelly nightmares, if she could even fathom DNA. But let’s back up a moment. Are the plights of Sarah, Alison, Cosima, and god knows how many other clones credible (Tatiana Maslany)? Could this happen in our world? Is this happening now? Are we months away from discovering a corporate cabal has been invisibly guiding a seemingly benign research institute down the path to mass producing our species? Does the technology exist and is it just waiting to be coopted for evil??? Let’s address that last question, well, a version of it, and let’s do it one step at a time. Here we’ll dissect the science in the critically acclaimed Orphan Black. Now we’re not going to tear into the fiber of every episode, there are plenty of blogs that do a great job of that (like the Orphan Black writer’s blog), but we are going to put the show’s science under our microscope. We’ll delve into the hows and ifs of Dyad’s experiments, asking are we there yet, and could we be there soon? Well, you have to keep watching to discover if Cosima is right, but in the meantime, who is this Dr. Craig Venter? And what is synthetic DNA? Honestly, this is as obvious as it sounds. Craig Venter is a molecular biologist, duhhh (I’ll actually get to him later), and synthetic DNA is a piece of DNA that has been manufactured in a lab by a human, as opposed to being produced naturally inside of a replicating cell. Synthetic biology is a slightly broader topic than synthetic DNA; it’s the discipline that encompasses the design and construction of living organisms. However, DNA has been designing and constructing life for billions of years so synthesizing life is effectively synthesizing DNA. As Dr. Venter puts it (in a recent Wall Street Journal interview), “life is a DNA software-driven system.” Please let me explain. DNA, the “software” of life, is a simple code a lot like binary, but instead of 1’s and 0’s, DNA consists of A’s, C’s, G’s, and T’s, which symbolize four small molecules—adenine, cytosine, guanine, and thymine, respectively. These molecules are strung together and repeated thousands of times in infinite combinations to produce each of the genes contained in the genomes of all living beings, from amoebas to zebras. The number of genes in an organism’s genome can range from only a few hundred, as are found in the goat stomach bacteria Mycoplasma mycoides (more on that critter later), to as many as 50,000, which is the number of genes you’d find in normal, everyday rice (for comparison, humans have less than 25,000 or half as many genes). The genome “software” of all organisms was gradually written by trial and error over the course of billions of years, and only recently have humans endeavored to read, decode, and even rewrite it. Sure, it looks like a printer, but Hewlett-Packard's inkjet technology is millennia behind this DNA "printer"
Though that last part is tricky. If you want to write the code of life yourself, that is, if you want to synthesize a custom strand of DNA, you’ve got to string together A’s, C’s, G’s, and T’s, and you will need more than a fancy chemistry set (start saving your allowance for a $50k BioXp™ 3200 System, produced by one of Craig Venter’s companies, not-so-coincidentally). And by the way, with the latest technology it takes more than an entire day just to string together 3,000 individual A, C, G, and T bases. At this rate, it would take over one million days to synthesize a human genome sequence from scratch, which is one reason why no one synthesizes human genomes. Because of the difficulty and complexity of synthesizing DNA, molecular biologists have spent the last decades perfecting what are referred to as recombinant DNA techniques. This is slightly more complicated than synthetic DNA in concept, but much more simple in execution. ‘Recombinant’ refers to the process of recombination that shuffles genes during the production of sperm and eggs, and guess what, biologists can artificially imitate this process. Actually, they can do better than nature—biologists can recombine genes from the genome of one species into the genome of a totally unrelated species (like corn that carries a bacteria gene for a protein that poisons crop pests or pet fish that glow in the dark thanks to a jellyfish gene). I may seem to have gotten off topic, but the point is synthesizing DNA is still hard so, alternatively, most genetically-modified organisms (GMO) are modified using recombinant DNA technology in place of synthetic DNA technology. Synthetic DNA technology is like a typewriter, while recombinant DNA technology is more like a copy machine. Or maybe recombinant DNA technology is more like editing a document without a keyboard—you can copy, cut, paste, and delete, everything but type. Recombinant DNA technology lets you rearrange genes and genomes any way you’d like but doesn’t let you precisely specify the DNA sequence that you want—so you end up combining sequence like Dr. Frankenstein combined body parts. Such limited methods are incredibly powerful though; they’ve given us everything from new cancer treatments and cheap insulin to tomatoes that will stay bright red (and not so tasty) forever. But the cut-and-paste of recombinant DNA is clumsy compared to the made-to-order DNA we could be synthesizing. And thanks to none other than Dr. J. Craig Venter, synthetic DNA might become much more common. Dr. Craig Venter is perhaps my favorite contemporary scientist for many reasons (for starters, he seems a little nicer than Dr. Leekie (Matt Frewer). After competing/collaborating with the government Human Genome Project to publish the first draft of our own DNA blueprint, Dr. Venter shifted his focus to a number of ventures, including his non-profit J. Craig Venter Institute (not to be confused with the Dyad Institute), Human Longevity Inc. (alright, that sounds a little iffy), and Synthetic Genomics. Venter’s Synthetic Genomics is an industry leader in the field of synthetic biology. They do everything from pure synthetic biology research to developing the reagents and equipment that support such research to trying to making bajillions of dollars producing cheap biofuel. The firm made headlines in 2010 when it produced the world’s first synthetic cell for $40M ($40 million for one cell). Base-by-base the project team manually rewrote (again, stringing together A’s, C’s, G’s, and T’s) the tiny genome of our little friend Mycoplasma mycoides and then inserted that synthesized genome into a related bacterial cell with no genome of its own (microbiologists sucked its genome out very carefully). And this synthetic genome transplant was even harder than it sounds. Though it looks eerily similar, this isn't Dyad but rather the J. Craig Venter Institute. So can we synthesize a human genome with over 3 billion A’s, C’s, G’s, and T’s and stick it into human embryos like Dyad did? Alas, no. Synthetic bacteria with tiny genomes have just barely been assembled, and it pushed the limits of science for $40M. Synthesizing a human genome is a long way off. But can we insert a DNA watermark (as Venter’s team did) into a human embryo? DNA watermarks can now theoretically be anything (including all 154 Shakespearean sonnets), but the problem is actually getting such a clone embryo to grow and divide—in other words, to boot up. In Orphan Black, this is precisely the problem that Dyad and Project Leda had to overcome to produce Sarah and her siblings. Halfway through season 2, we find out that the brilliant Susan (Christy Bruce)and Ethan Duncan (Andrew Gillies), leaders of Project Leda, had to overcome something they refer to as the “spindle problem.” While that’s a topic for another day, suffice it to say, that the spindle problem is all about getting a transplanted genome to start “booting up.” In real life, as in the show, synthesizing a genome and sticking it into a cell is pointless unless that cell grows and divides like normal. So you don’t have to worry about running into your clones. Yet. 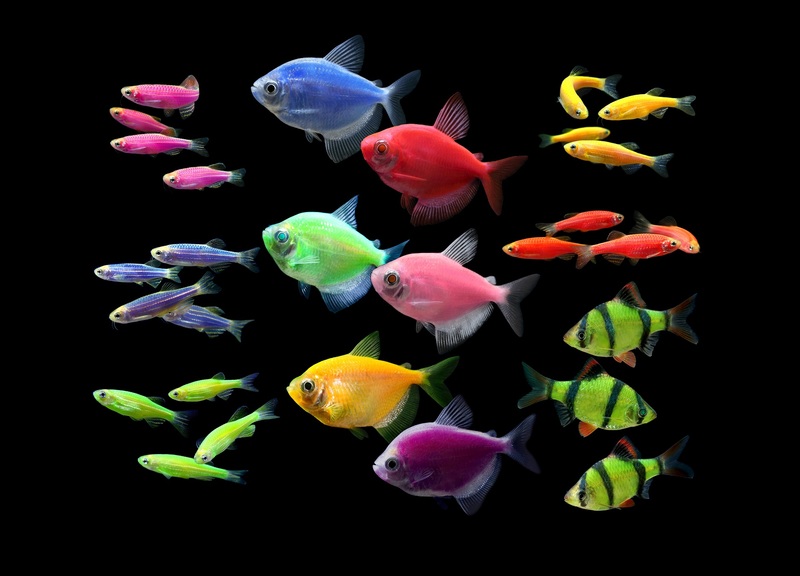 Does epigenetic variation explain differences among clones?